We’ve been thinking a lot about Nick Bez and the Pacific Explorer, as we ruminate over the book we’re writing. One thing we have not realized was the depth of the relationship between the West Coast fishing industry and the military. The military essentially took over the management of the significant American fisheries during the war, including the sardine fishery in California and the salmon fisheries of both the Northwest and Alaska. could be filleted and frozen, and it was available in large quantities. 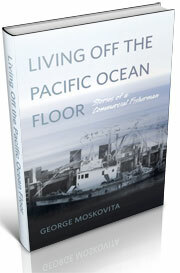 By the end of the war, coastwide landings had reached 33 million pounds, almost all of the trawl landings on the Pacific coast. 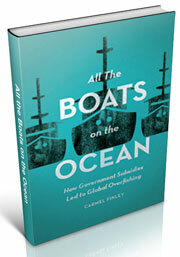 But when the Army stopped buying in 1946, the industry was hurt by imports of cheaper foreign fish, plants imposed trip limits and boats drifted away from the fishery. In June of 1943, Harold Ickes. the Secretary of the Interior in the Roosevelt administration, released a plan to assume complete control over the pilchard fishery on the West coast for the duration of the war, to ensure enough canned sardines for military, Lend-Lease, and civilian requirements. The catch was 962 million pounds, a reduction by almost a quarter over the previous year. The 1941 pack had been 5.2 million cases, but just 3.8 million in 1942. The Coordinated Pilchard Production Plan was designed to increase the yield by place available men and waters to catch fish for delivery to processing plants. In July of 1944, Ickes approved $3.5 million of controlled materials for use in fishing boats and processing plants, including carbon steel for engines, and 1.8 million feet of lumber. 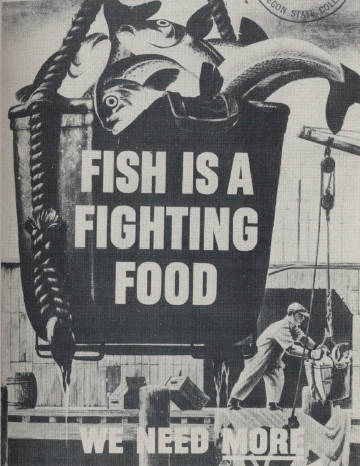 But certainly West Coast fishermen and fish processors understood the impact the war had on the market for fresh fish. Late in 1944, as restrictions on using materials for non-military purposes were easing, a group of Newport investors built the 90-foot trawler Yaquina. The big boat allowed Captain Gordon White to fish further offshore, in deeper water, where he found large quantities of a bright red, medium-sized fish. White delivered a load of rockfish to the Yaquina Bay Fish Company in Newport in 1946. The company filleted the fish and sold them into the fresh fish market. Manager Dudley W. Turnacliff thought the fish were similar to east coast perch and started to label them “ocean perch.” The market increased slowly, with a million pounds landed at Newport in 1949. 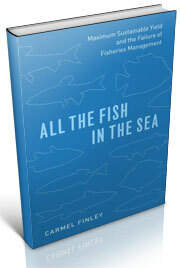 It was a slow start, but the perch fishery grew rapidly and became of the most important West Coast trawl fisheries. 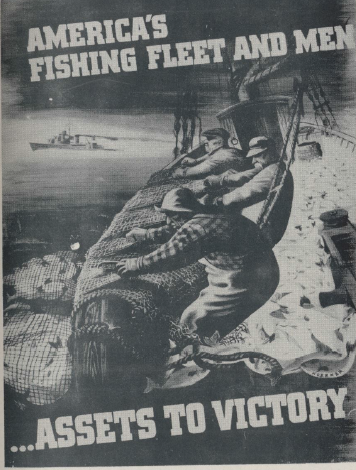 Fishery Market News, “Coordinated pilchard production plan announced,” June, 1943, 6-7. Fishery market News, “OCF approved $3,500,000 in fishery construction,” July, 1944, 17. Fishery market News, “Opportunities for small business in the fisheries of the Pacific Northwest and Alaska,” August, 1944, 2-7. This entry was posted in boat building, California sardines, Carmel Finley, Ocean fishing, Oregon pilchards, Pacific Explorer, Pacific Fishing History Project, Rosefish, Sebastes rockfish and tagged fresh fish, Gordon White, Harold Ickes. Bookmark the permalink.